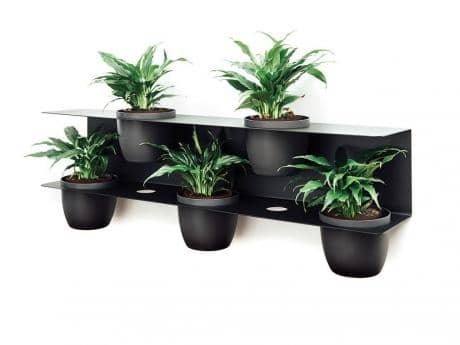 This garden shelf is ideal for dividing office space and can be used both outdoors and indoors. 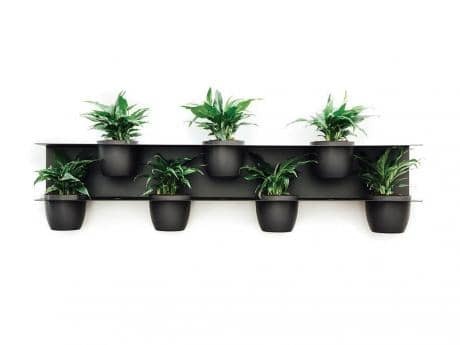 Our new Lanna Garden Shelf is a modular vertical garden device designed for small urban spaces. 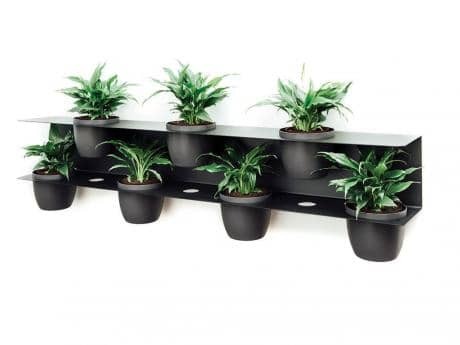 Suitable for both indoor and outdoor use, the Lanna Garden Shelf is a modular system that can be purchased individually and added to over time. 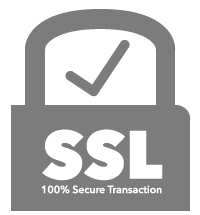 It is available in two sizes consisting of a five or seven pot configuration. This unique product is perfect for creating a vertical garden on balconies and in courtyards and the perfect solution for creating a garden feature for those with limited space. 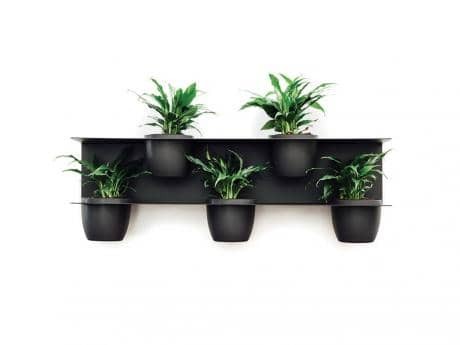 Our Lanna Garden Shelf has concealed mounting points built in to the rear for mounting to a wall or fence and is made from galvanized steel with a black or white textured finish. Comes complete with UV stable colour matched pots. * Sit Back & Relax recommend Frenchams Indoor Plant Services for all our Green Wall Systems. For space limited office spaces who are wanting to implement a greener area without using valuable floor area.